Saide’s OER Africa Initiative has entered into a partnership with four universities in Southern Africa whereby a participatory action research approach will be used to facilitate the effective integration and use of Open Educational Resources into institutional systems and operations. 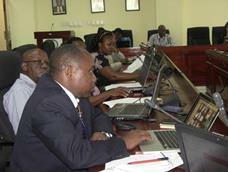 One of the universities we are working with is the Open University of Tanzania (OUT). Brenda Mallinson reports on two workshops she facilitated to support collaborative processes. 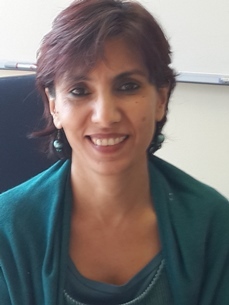 In November 2014, an OER Institutional Analysis Workshop chaired by Dr Samzugi, Deputy Director of the OUT Library and co-facilitated by Brenda Mallinson was convened. Six invited OUT departmental groups (Institute of Educational and Management Technologies (IEMT), Education, Life Sciences, Economic Law, Library Services, Linguistics and Literary Studies) each worked through a planning document, engaging fully with the task over the course of the day. The activities followed a Maturity definition process for OER Institutional Analysis. The instrument was adapted from an Educause publication on data analytics available on the Educause website. The instrument was used in a data analytics workshop for the Sahela 2014 From Knowledge to Action community of practice workshop and included the addition of a planning component linked to the survey (thinking about how data analytics could support institutional mission on the one hand and then planning to build capacity based on strengths and weaknesses identified by the survey on the other). Tony Mays subsequently re-contextualised the instrument for an OER context for use with institutions in planning workshops in the latest OER Africa project. OER Maturity Index comprising a series of quantitative questions regarding: Expertise, Policy and Procedure; Quality Assurance; Infrastructure; Culture and Leadership; and Investment. These data for these dimensions was collated with each group calculating an overall Institutional OER Maturity index. The data gathered was made available to Dr Kassim Nihuka (OUT / ACDE) for analysis and presentation to the planned 2015 OER Experiencing workshop. This follow-up workshop was convened in January 2015 by Dr Cornelia Muganda, Director of the OUT Library and Professor of Education, and constituted a high level gathering of Senior OUT academic staff, presided over by the Acting Vice-Chancellor, Prof Modest Varisanga. Professor Muganda and Brenda Mallinson described the nature and purpose of the gathering, after which Dr Nihuka presented the results from the OER Institutional Analysis workshop. The next sessions shared the OUT OER experience from a variety of projects with the focus firstly on OER Development and Production including lessons learned from the TESSA project, the AVU project, and the internal Digital Fluency OUT project. The focus then shifted to OER Integration and Use where lessons learned were shared again from the TESSA and AVU projects, and finally the internal OUT Integration of OER in Research and Publications. 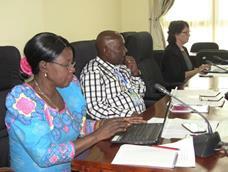 Each of the project sessions were followed by a plenary discussion. Dr Nihuka then described that Participatory Action Research approach in the Digital Fluency course design and development. The workshop moved to focus on Institutional Policies: Rationale and Practice via a panel discussion session (Directors of Faculty of Law, IEMT, Research, and Quality Assurance), followed by three ‘Practicalities’ sessions: Quality Assurance for OER (Dr Bushesha (OUT QA Office), OER Production Workflow Processes (Brenda Mallinson, OER Africa), and Hosting and Dissemination of OER (Dr Samzugi, Deputy Director, OUT Library). strengthening institutional OER theory and practice via research and networking. An interesting aspect of this exercise was the recognition of the necessity of supporting resolutions concerning OER Africa collaboration, the Tanzanian National Copyright Act of 1999, and the consistent access to digital resources at OUT. A report on the OER Experience Sharing Workshop was endorsed by the OUT Library Board and submitted to the OUT management for consideration, direction and action, especially on the resolutions. These OER gatherings have made a significant contribution to understanding the current status and furthering the institutional practices of OER at the Open University of Tanzania. It is evident that considerable support is in place from OUT Senior Management, the Academic staff, and well as necessary supporting units such as Quality Assurance, Library, and the Institute for Educational and Management Technology.